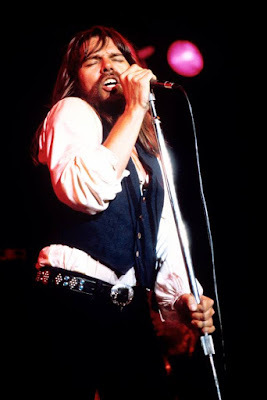 Bob Seger has made the majority of his catalog available to streaming services after years as one of the last major artist holdouts to the format. The Detroit rocker has released thirteen albums – including three greatest hits sets – to streaming services like Spotify, Apple Music, Amazon Music, iHeartRadio, Napster and Slacker Radio. Also issued to streaming services are 1981’s live set, “Nine Tonight”, 1982’s “The Distance” and 2011’s “Ultimate Hits” – all previously available for download. Seger has been looking forward to making his music available to stream and download for years, and he explained to Rolling Stone in 2014 what the holdup was in getting the situation resolved. "It's an ongoing issue with my manager and Capitol Records," he said. "They agreed to something many years ago about new media and they don’t want to live up to it. Until that's resolved, we let very little out ... It does [frustrate me]. I wish people could get any song at any time." Last month, Seger’s “Greatest Hits” received the RIAA’s Diamond Award commemorating sales of 10 million units. In celebration of the achievement, he re-released the project as a 2LP double album in 150gram and 180gram black vinyl, with a 150gram purple vinyl version available exclusively via BobSeger.com for a limited time. The singer’s debut, “Ramblin’ Gamblin’ Man”, was also re-released in 150gram black and for the first time in 150gram blue vinyl. Seger recently revealed the initial dates for a 2017 North American tour that will begin in Toledo, OH on August 24, with shows running to the end of October and more to be announced – including stops in Los Angeles, Chicago, San Francisco, Seattle, Minneapolis and more.